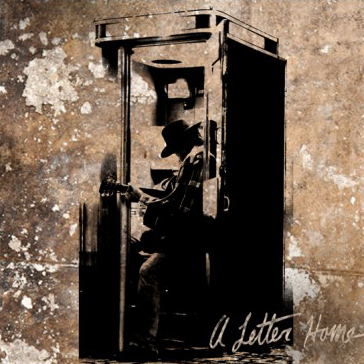 Neil Young’s A Letter Home features 11 tracks that have been refurbished in Jack White’s Voice-o-Graph vinyl booth—a machine inspired by ‘40s technology that records tracks straight to vinyl—at Third Man Records. The album is set for a May 27 release. This unheard collection of rediscovered and rerecorded songs features Young covering ageless folk songs, like his chilling interpretation of Bert Jansch’s “Needle Of Death.” Watch it in the video below. The vinyl-only album is available for preorder at right now at Third Man Records for $20. Check out the cover art and tracklist for the album below.